After an initial failed Kickstarter attempt, the Feelreal VR mask, with which users can smell and feel in virtual reality, is now financed. The product is now ready and should reach its first customers before the end of this year. With a financing target of 17,735 euros, which was achieved in a very short time, Feelreal's Kickstarter campaign has now reached around 76,000 euros and thus clearly achieved its own financing target. 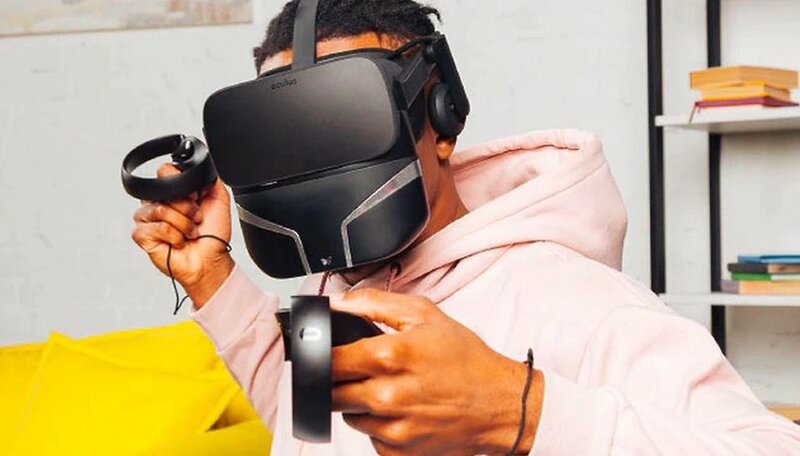 Now the makers of the adapter, which is compatible with the PlayStation VR, Oculus Rift, HTC Vive, have announced to deliver the first models to Kickstarter supporters in August this year. The mask is compatible with many popular VR headsets and is attached to the underside of the glasses via a magnetic holder. You can even choose a color that matches your current device (black, white or grey). The model weighs around 200 grams, supports Bluetooth 2.0 and has a battery life of almost four hours. Inside the Feelreal there are various aroma capsules. Different "feelings" such as the wind in your face, foggy surroundings or hot temperatures are created by fans, humidifiers and heat rods. In addition, there are two vibration motors, which are intended to make virtual reality even more realistic for users. This simulates - in a gentle way - blows to the face during boxing fights or splashing rain. For the launch, virtual reality games like Skyrim, Beat Saber, Death Horizon, The Last Day Defense and Guns'n Stories are supported. In the role-playing game, Skyrim VR, users should be able to sniff out the woods in VR, whilst wind blows around their face in Beat Saber. In Guns'n Stories, the smell of black powder rounds off the VR experience. The company also wants to supply various 360° videos, which are provided with a special Durftnote. Further VR developers should be able to add special functions for smelling and touch without much effort. The creators of Feelreal offer their own interface for this. You can find more information about Feelreal on the corresponding Kickstarter page. The campaign will run for about four weeks. So anyone who wants such a mask can still get in on the action. What do you say to Feelreal? Is this the right way to delve deeper into virtual reality?